The 3rd Arrondissement of Paris is one of the most touristy districts in Paris, together with Paris 1 and Paris 4 of course! This is a district very appreciated for its quality of life. However, Paris 3 has many faces, with three interesting areas which deserve a little detour . . . 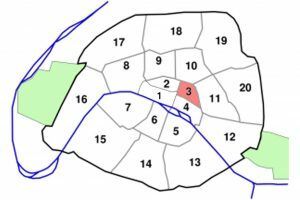 In the 3rd arrondissement, we can find half of le Marais (the other half is in Paris 4). This is one of the most popular neighborhoods in Paris, especially known for its beautiful architecture, trendy and vintage boutiques and art galleries. Le Marais means “marsh” in French and long, long time ago it was just this, a marshland. Things changed in the XIV century when Charles V drained the marshlands and included this area inside the new ramparts surrounding the city. After some security incidents at Ile de Cité, the king decided to move to Hôtel Saint Paul in the Marais. Consequently, all the important people followed the king, building beautiful residences (hôtels particuliers) around the new royal palace. Some of these hôtels particuliers host today interesting museums opened to the public. The heart of this half le Marais is (in our opinion) Musée des Archives Nationales (at Hôtel Soubise), hosting the French Archives from the Merovingians to 1958, AND Musée Carnevalet (Hôtel de Sévigné) dedicated to the history of Paris. Paris 3rd arrondissement also includes the historical neighborhoods of Temple and Arts et Métiers, today considered part of le Marais. The name “Temple” comes from the Knights of Templar, the religious and military order who by the XIVth century owned the land around le Marais. Many artisans and craftsmen established within the Templars’ walls, where the monarchy had no jurisdiction to collect taxes. Their wealth lasted until 1307 when King Philip IV imprisoned the Templars and confiscated their lands. Today the beautiful Arts et Métiers Museum stands as a silent testimony of this arts & crafts past richness in Temple neighborhood. Other remarkable buildings in this area are Carreau du Temple, a covered market occupying the former site of the Knights Templar’s medieval enclosure and Marché des Enfants Rouges, the oldest covered market in Paris, built in 1628. Finally, the 3rd arrondissement of Paris is the home of the Wenzhou Chinese community which was the first Chinese community (there are 3 Chinatown in Paris!) to arrive in Paris as recruited laborers during WWI. This community is settled in the streets around colorful Rue au Mairie, a picturesque area which deserves some exploration. No surprises here: you can find all these Paris Monuments and Paris points of interest on all the guidebooks about Paris so no post talking about the third arrondissement would be complete without the top tourist attractions in Paris. If this is your first trip to Paris you will like to visit some of them, they are very touristy but beautiful! Some of them are part of famous places in Paris. Some of them are Paris best-kept secrets. 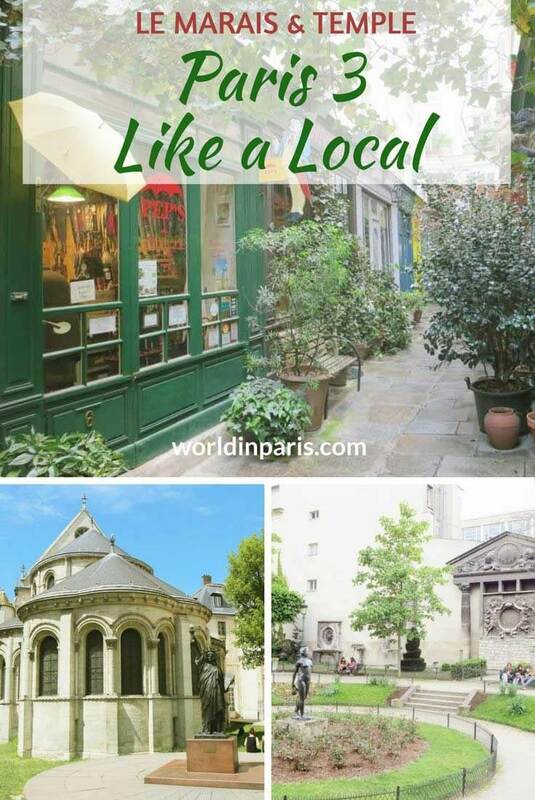 This is our personal list of unusual things to see in Paris 5th Arrondissement to enjoy Paris Like a Local. Charming Passage de l’Ancre – a hidden gem only a few locals know! Quirky Avion #3 at Musée des Arts et Métiers – this “flying machine” (1897) resisted few seconds in the air during its inauguration flight before crashing down! On our Paris Arrondissement Guides we like to encourage people to beat the crowds and explore Paris beyond its main sights. If you want to walk around le Marais to soak up the atmosphere, we recommend to go on weekdays: le Marais on Saturday is very crowded! We like to go to Paris 3 from time to time because there are always interesting photography exhibitions proposed by the district’s countless art galleries. But of course, there are many other interesting things to do in Paris 3rd arrondissement. Here is our list of best things to do in the third arrondissement if you want to know le Marais like a local. Visit the Grands Dépôts at Musée des Archives Nationales – this is France’s most precious treasure! Le Marché des Enfants Rouges (39 Rue de Bretagne) is very popular, with interesting proposals at a reasonable price. Asian food lovers will have a blast at Rue au Mairie and surrounding streets. Real Chinese Restaurants (also some Vietnamese Restaurants) which are always full. 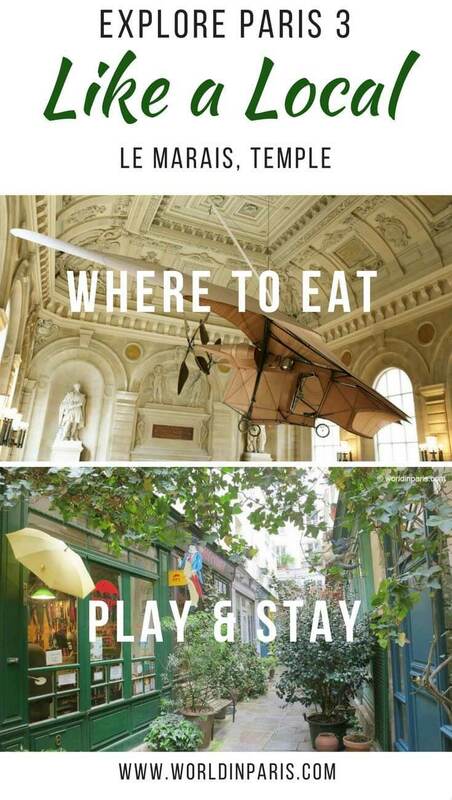 Check our proposals (by Paris arrondissements) on Yummy Paris. Affordable restaurants in Paris 3 but also Paris bistros or Paris street food. This is a living page which we are continuously “feeding” with our Parisian friends’ suggestions. Come back to Yummy Paris from time to time to read the newest additions. NB: The same hotel may be in two different price brackets depending on the kind of room you choose. A luxury hotel & spa located at Place des Vosges in the Marais, Rooms are individually decorated and very spacious. Facilities include a spa, fitness center and hammam. Its beautiful secluded garden is perfect to end your day with a drink. Located at the heart of Marais and entirely designed by Christian Lacroix, it is impossible to have a better combination history + design. Guests can use complimentary bicycles and enjoy free access to the spa at Hotel Pavillon de la Reine, a 10-min walk away. A great little hotel with a lovely (and eclectic) decoration and unique ambiance. Very good location (close to Musée des Arts et Métiers). Nice staff, delicious breakfast and a cool vibe in the common areas. Hotels are still the most popular option to rest your head at the end of the day but if you dream of living the Paris lifestyle, then an apartment is the best way to get a feel for the local atmosphere. We are talking about enjoying your Parisian holiday in the comfort of your own Paris furnished apartment, regardless of the length of your stay. WANT TO EXPLORE BEYOND PARIS 3? Disclaimer: this post includes affiliate links, meaning we get a small commission if you make a purchase through our links. It costs you nothing more (in fact, if anything, you’ll get a nice discount) but helps us to go on creating incredible Paris content for you. We trust all products promoted here and would never recommend a product that isn’t of value. 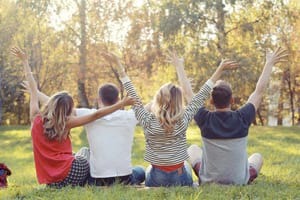 World in Paris is a participant in the Amazon Services LLC Associates Program, an affiliate advertising program designed to provide a means for sites to earn advertising fees by advertising and linking to amazon.com, amazon.co.uk, amazon.ca. Amazon and the Amazon logo are trademarks of Amazon.com, Inc. or its affiliates. Quirky Parisian explorers with a preference for the less known sights, we are continuously looking for new ideas and tips to bring you the best of the City of Light. 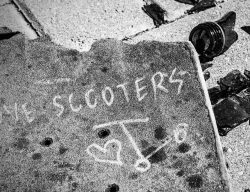 Best Electric Kick Scooters for Adults: Visit Paris (or any other city) differently! Paris 3 captures the essence and spirit of Paris and is so enchanting. When we were in Paris, we did not have time to look beyond the Eiffel Towers and Louvres of Paris. Hope to get there someday to explore Paris like a local and really soak in the spirit of Paris. I have been 2 times in Paris till now. During my last visit several years ago, I thought I noticed The Statue of Liberty’s while I was traveling by train from Paris to Versailles. Really love love love Paris! I would love to go back anytime soon! Thanks for sharing this list, I would love to check them out when I go back. Thanks for sharing this. Lovely! Paris is such a dream destination. This post really simplifies things. As an artist, I would surely love to visit the art galleries and historic monuments in Paris. A visit to those cafes wouldn’t hurt either. I love this series Elisa. I’m bookmarking for the next time I go to Paris, and meantime my daughter is heading there in a few weeks, so I’ve forwarded the urls to her. Thanks so much. Wonderful! We spent Christmas in Paris and are saddened every day that we aren’t French citizens with a cute tiny apartment in Paris. I love how much there is to see and do in each of Paris’ districts. And you can see from everything in the area, and it’s location, why prices may be higher there than other areas. I think I’d enjoy exploring the area, but would probably opt to stay in another district! Bookmarking this for my trip to Paris. It looks amazing and I love your tips! Great breakdown of what to do in Paris! When I finally go there, I’m going to be referring to this post + your other posts when I’m ready to start planning! Ah, Paris! It’s been way too long since I’ve visited this beautiful city. Great post, thanks for sharing! What a great comprehensive post. Paris is such a huge city so it’s really nice to break it down by area. I loved the Picasso museum here. One of my favourites. I like your idea to write guides for Paris based on each district. It looks like Paris 3 is a ritzy place to visit, with all those fancy houses! Do you think it can be experienced in just one day, or would you recommend more? This is a really complete post! I hope I can find my way to Paris one day and actually visit all these places. I haven’t found myself in Europe yet, but one day for sure! What a comprehensive, but very well sorted list! If you want to see only half of it you will need to spend a week only in and around the 3rd arrondissement. It will leave just enough time to tick of a few of Paris’ other main sights. Lol. Juergen MAYBE you are right. But how cool is it that there is so much to see and do in just one district? That’s why people never get tired of Paris! I lived in France for a while so visited Paris regularly. I have very fond memories of a weekend there with my mother not so long before she died. BONJOUR, WE 'RE WORLD IN PARIS! We are independent travelers and restless souls with a passion for our own city, the City of Lights. Quirky explorers with a preference for the local side of Paris and its less known sights, we are continuously looking for new ideas to enjoy the best of Paris & around. Keep clicking for first-hand information, best tips & tons of inspiration to enjoy Paris Like a Local. I WANT TO READ . .